The “summer’s not over yet” recipe theme continues. Right now Jack and I are in Seattle for a few days before we head to Japan. I feel inclined to write about how we spent the last few weekends at home savoring the last of our local late-summer produce… But seriously, it was 104 degrees when we left so I’m sure there will be plenty of summer (and it’s veggies) waiting for us when we get back. With Japan on the brain, I’ve been in the mood for miso. Although, I realize nothing else about this recipe is remotely Japanese… the miso here is basically the salty component in this sauce that very much resembles pesto. Mediterranean miso – that’s a thing, right? (as I lose both Italian and Japanese readers at the same time). 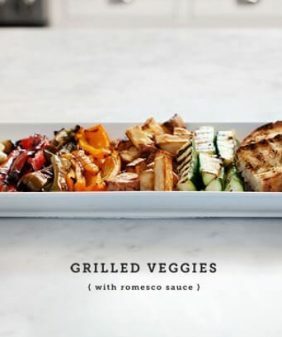 The rest is simple – spread a few spoonfuls of sauce on a plate and pile on the grilled veggies. I had zucchini, peppers, green tomatoes and onions – but feel free to sub in whatever you like. 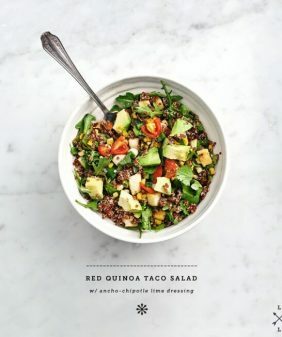 I served this as a side dish one night, and tossed with quinoa, feta & avocado for lunch the next day. 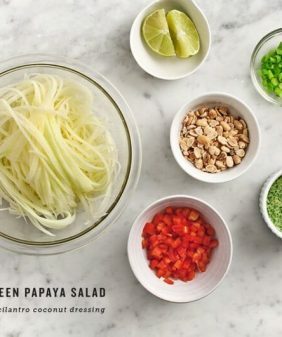 Make the sauce by pulsing everything together in a food processor. Taste and adjust seasonings. Add a bit of water or more olive oil if necessary to thin it to your desired consistency. Set aside. Heat a grill or grill pan to medium-high. 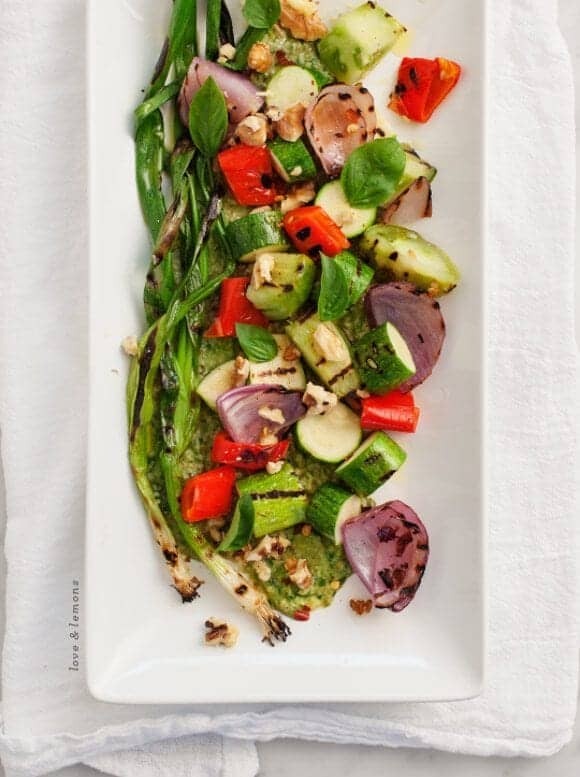 Chop veggies and drizzle with olive oil, salt & pepper. Grill veggies for a few minutes per side, until black grill marks form and veggies are tender but not mushy. 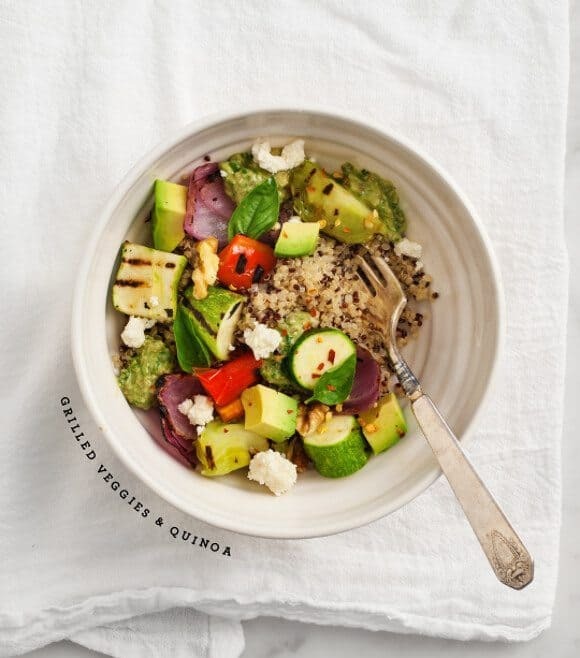 optional: make it a meal and serve with quinoa, avocado slices and/or crumbly feta. *if you're strictly gluten free, make sure your miso is gf - some contain barley. Hehe I am totally in denial about summer ending, even though today was noticeably chillier than the previous weeks. 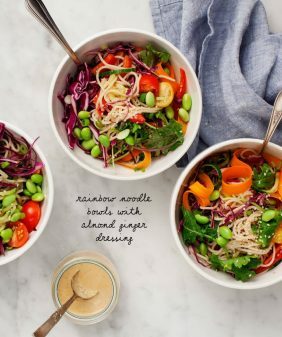 Mediterranean miso? If you say so! I’d definitely be willing to try it! Yum! Thank you for the inspiration. I will definitely make this soon as I’m hanging on to summer as much as possible. I’m with you, summer isn’t over yet! I have never had miso, but am dying to try it! 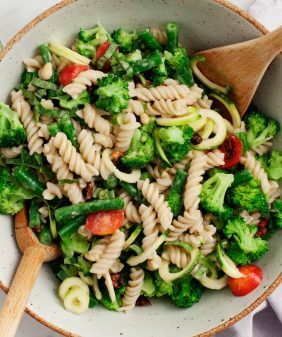 These veggies sound like perfection to me! 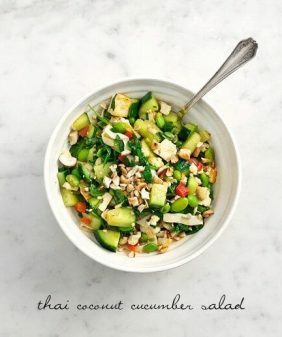 This is such a beautiful and summery dish! So perfect for savoring the last days of this lovely season. I’d never think to combine basil and miso, and in fact, I don’t use miso nearly often enough. I think I’ll try this for lunch today! Basil miso pesto! I love it when two cuisines collide to create something tasty like this. I must to try it, thanks! I’m only a year and a half late but made this recipe last night along with your miso shiitake soba soup. I forgot to put salt in the soup (oops) but otherwise my husband I enjoyed this great soba-themed meal. It’s still a little cool in DC, so the soup was warming while the grilled vegetables were great in anticipation of summer weather. Loved the Asian pesto/Mediterannean miso!